Ready or not, fall's on its way. We've started covering a few of the bases when it comes to fall's biggest trends, but this right here? This is a full trend report on the styles you should be stocking up on right now, according to the runway. Before you know it, your summer wardrobe will be obsolete, and you'll find yourself scrambling to find attire that suits the seasonal shift in both weather and fashion. Instead of procrastinating on one more thing in life, be proactive and start your fall 2018 shopping right here, right now. Below, you'll see a roundup of all the heavy-hitting fall 2018 fashion trends. The list is chock-full of styles that will push you outside your little fashion bubble, along with ones that might make you feel right at home. Curious to discover which is which? Then read on to see fall's biggest runway trends, shopped out for you at that. 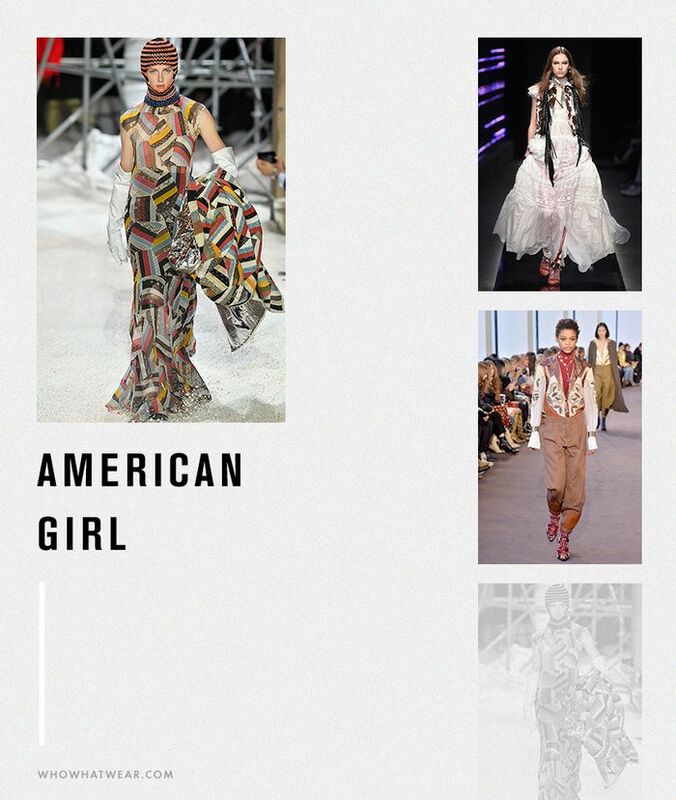 This season, designers showed an homage to American history, dousing the runway in prairie dresses, western garb, and the like. This fall, no animal is left behind. Channel your wild side and choose the print that best suits your personal style. Fanny packs were so last season, but belt bags and neck bags (open to name suggestions) are the hands-free carryalls of the future. If blindingly amazing colors aren’t your thing, skip over this trend. Sorry, folks, but this whole chunky sneaker trend is here to stay for fall 2018. This time around, focus on soles that are large and in charge. The ’80s are a massive trend this fall, and while we’re all for ruching, large shoulders, and oversize hoops, those items might not be the most accessible in your day-to-day life. But ’80s-inspired workwear? Now that’s a trend we can get behind. Zetus lapetus! If they were to come out with a Zenon 4, these designers would be costuming the whole thing. Fall proved that iridescent, metallic, and dripping sequins are the path to take when you want to shine bright. The cowboy boot trend is one we’ve seen for a few seasons now, but this fall, the styles are tightening up again. The shoes are becoming slicker and more polished as opposed to straight from the Wild West. Next up, find out which fashion mistakes make NYC girls cringe.